Some people ask a question about the difference between a guide, driver and driver/guide. 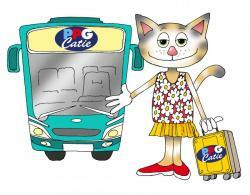 We do realise that in some other cities guides drive the vehicle that is being used on a tour. However, Prague Private Guidesdoes not offer driver/guides in the Czech Republic with very few exceptions. Guide - A professional, local guide is a person who has at least a some higher education, most have university degrees, doctorates, PHDs and more! They speak at least one other language besides their native tongue and usually more. They also have a license in guiding in Prague that can only be obtained after completing a several month course in Prague history. They may or may not have a drivers license. Driver - A profesional driver is a person that has a professional drivers license. They do not require anything else to drive a car or van. The traffic conditions in the Czech Republic and especially in Prague make it very difficult to concentrate on the road and the customer at the same time. One or the other must suffer ... either the driving is not very safe or the guiding is not very good. Therefore, we leave the driving to the drivers and the guiding to the guides. We use several quality vehicles, the size and brand depending on how many guests have joined our tour. We use Skoda, VW, Mercedes, Toyota, Isuzu, Audi and other brand cars, 4 years young or less. On tours with 1 to 2 people, we use a 4 passenger sedan driven by a driver with our guide next to the driver. For tours with up to 6 guests, we use a van. For larger groups we rent a larger vehicle from a transportation company which we have tested and who conforms to our high standards. These vehicles seat from 15 to 20 to 30 to 40 to 50 guests, if necessary, and prices depend on the size. We will be glad to quote you a vehicle for any size needed. A restroom (WC) is standard equipment on buses for 45 passengers and larger, however, ample stops are made along the way for clean restrooms in cases where a smaller vehicle is used without a WC. For airport transportation only, we realize that you have luggage with you and use vehicles that can accommodate your party as well as your luggage. Please let us know in advance in case you have more than 2 cases per person. Thank you. Our vehicles are no more than 4 years old, air-conditioned, clean, well maintained and fully insured. We use Ford, VW, Škoda, Mercedes and other fine brands.